Punk'in Drublic? Hell Yeah! 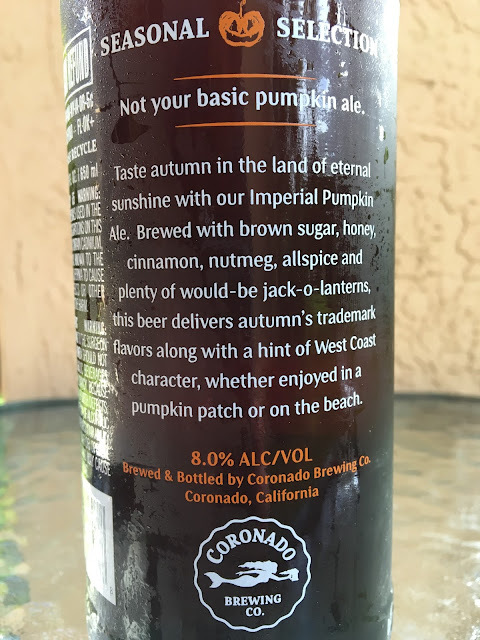 What a fantastic beer name, especially for the only pumpkin beer I plan on checking out this year! This bomber is part of Coronado's Stay Coastal series, and a little story titled "Not your basic pumpkin ale" sets your expectations. 8.0% alcohol. Aroma is full of cinnamon and pumpkin pie spice with a touch of honey and brown sugar, a lot going on with some earthy pumpkin beneath it all. Very malty and spicy flavors to start. Sweet with brown sugar and honey while nutmeg is an unmistakable standout. Then you have an alcoholic streak that comes along and enhances the spices even more. Spice bomb got me like... 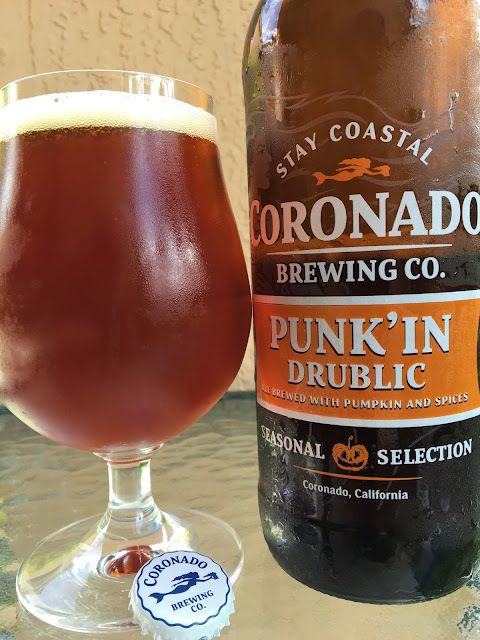 I didn't hate this beer but Punk'in Drublic solidified my vote for least favorite beer style for another year!